The industrial hygiene professionals at Clark Seif Clark identify inhalation exposure risks and help to ensure the proper respiratory protection for workers. It is preferential to prevent or limit airborne hazards whenever feasible. 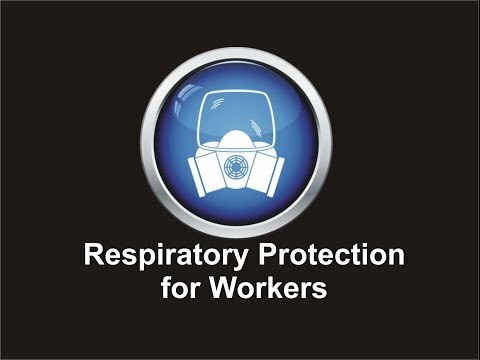 However, the use of a respirator is often still required to prevent injury or death of workers. Each year, the United States Occupational Safety and Health Administration (OSHA) publishes a preliminary list of the 10 most frequently cited safety and health violations for the fiscal year. It is comprised and compiled from thousands of workplace inspections conducted by federal OSHA staff from across the country. Most years, one of the top 10 cited violations involves respiratory protection. According to OSHA, an estimated 5 million workers are required to wear respirators in 1.3 million workplaces throughout the United States. Respirators can help to protect workers against insufficient oxygen environments, harmful dusts, fogs, smokes, mists, gases, vapors and sprays. Some of these hazards could cause cancer, lung impairment, diseases or death. The first is by the removal of contaminants from the air. Respirators of this type include particulate respirators, which filter out airborne particles, and air-purifying respirators with cartridges/canisters, which filter out chemicals and gases. Other respirators protect by supplying clean respirable air from another source. Respirators that fall into this category include airline respirators, which use compressed air from a remote source, and self-contained breathing apparatus (SCBA), which include their own air supply.